The next generation new Porsche 911 debuts at the Frankfurt motor show this September, the wraps will be pulled off theMk3 Porsche Boxster at the 2012 Detroit motor show, but there’s a third all-new Porsche on the way too. 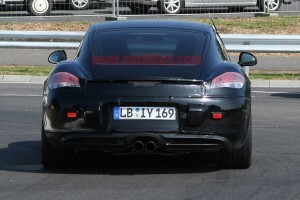 It’s the second-generation Porsche Cayman, caught by our spies while on test at the Nürburgring; it’ll be on sale in the UK by the end of 2012. 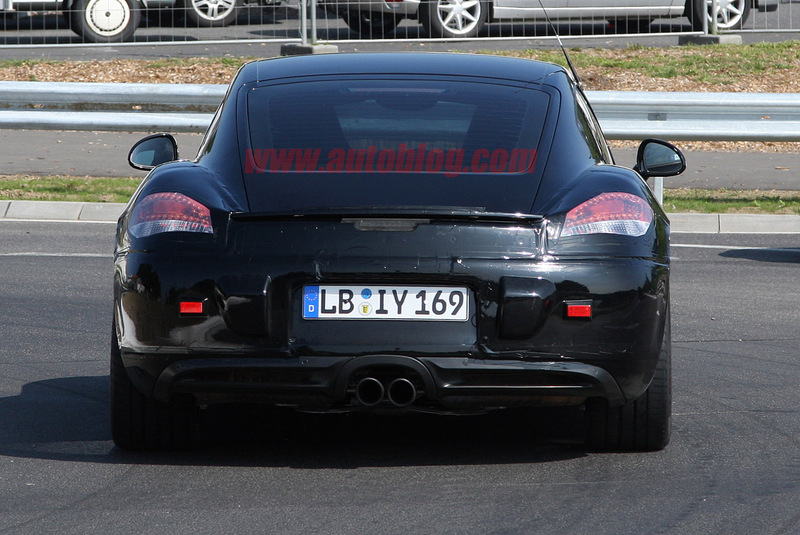 I know this car – the new Porsche Cayman is just a revised version of the current Porsche Cayman, right? Not quite, as it’s an all-new model – albeit one that shares a lot of DNA with the new Porsche Boxster 981 and new Porsche 911 (Porsche 991). However, Porsche is determined to spread its offerings over a much wider range of market segments, so differentiation is the new name of the game, not standardisation and simplification. Items like bespoke doors will now help you tell the mid-engined cars apart from the rear-engined icon, and Stuttgart’s designers have made further effort to differentiate all three. 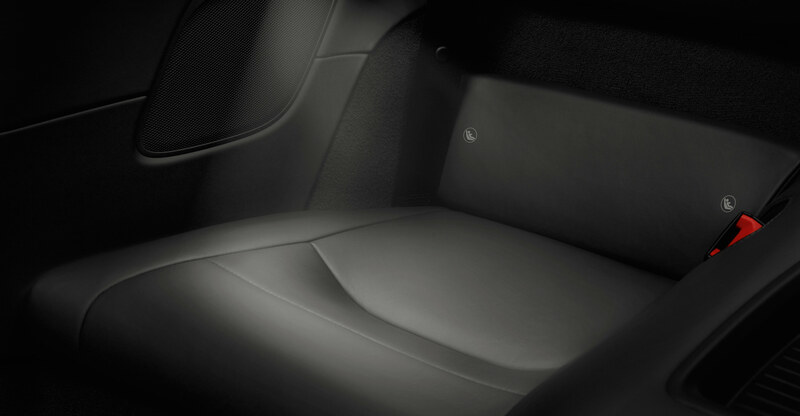 Inside expect a heavy Porsche Cayenne/Porsche Panamera influence, with a rising transmission tunnel. Like its forthcoming Mk3 Porsxhe Boxster sibling, the current Cayman’s 2415mm wheelbase will be stretched by 60mm, increasing legroom by 18mm; overall length is up, but the front overhang will be decreased by around 25mm. But despite the increase in size, bigger wheels and tyres (18s rather than 17s will standard on the boggo model, 19s on the S) and extra crash structures, both the standard Cayman and Cayman S will weigh less than their predecessors – reckon on at least a 15kg weight saving for each. When does the Cayman get four-pot power? Not until both the Porsche Cayman and Porsche Boxster are facelifted in 2015/2016, and if marketing agrees, the entire range could eventually switch to the new drivetrain. The pair are expected to receive the bigger-bore 2.5-litre twin-turbo flat four, which comes in various power guises up to 355bhp and 347lb ft.; a smaller 1.6 version is reserved for the 356 and its VW and Audi (and potentially Seat) cousins. 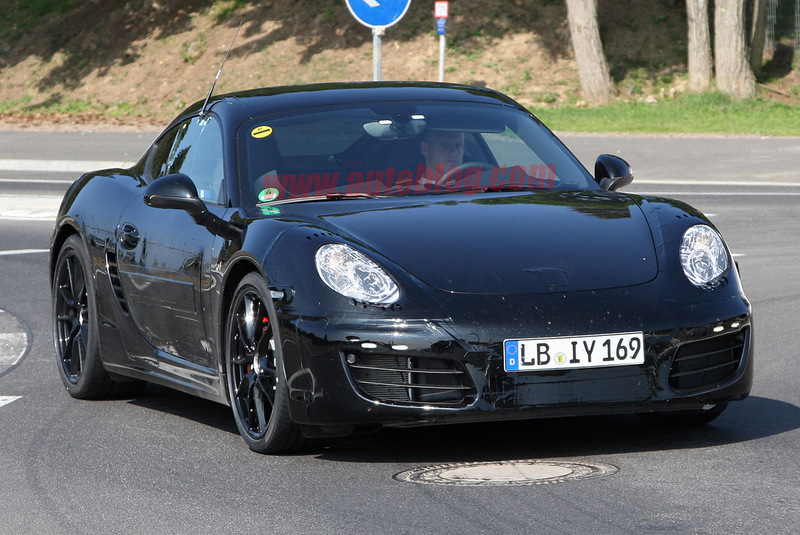 The first hybridised Porsxhe Cayman (and Boxster) models should also appear in 2016. 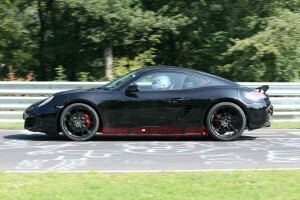 In the meantime, the Porsche Cayman sticks with its famed flat sixes. Just as the new Porsche Boxster will gain an extra 10bhp to put it on par with today’s entry level Cayman (and the S will move up to a Cayman R-equaling 315bhp), so the new hardtop car will be subtly boosted to justify the extra Porsche charges over the Boxster. The lighter weight, more efficient engines, honed aerodynamics and new features such as start-stop, extensive thermo-management, recuperation and a new electrically-assisted power-steering add up to an 18% drop in consumption. And as an aside, the next, next Porsche Boxster and Porsche Cayman will appear in 2018 and 2019, using a development of the new platform, as the two-generation lifecycle was signed off before VW took charge.